This is a quick and easy hike to one one of the smaller mountains in Los Angeles, Mt. McGroarty (2113'). The trail is along a dirt fire road and for the most part is a fairly uninteresting walk, with the main feature being the 30' concrete cross at the summit. 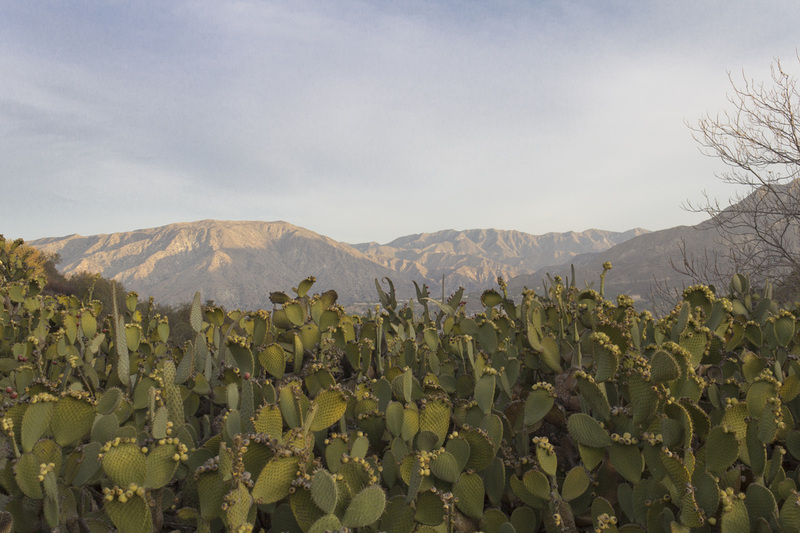 At the first trail junction, however, is a large patch of prickly pear cactus surrounded by smaller patches of other cacti species. There were also numerous jack rabbits and a surprising number of humming birds flitting about. The mountain on which the cross stands is technically Mt. San Ysidro, but is known locally as Mt. McGroarty in honor of California writer John McGroarty. 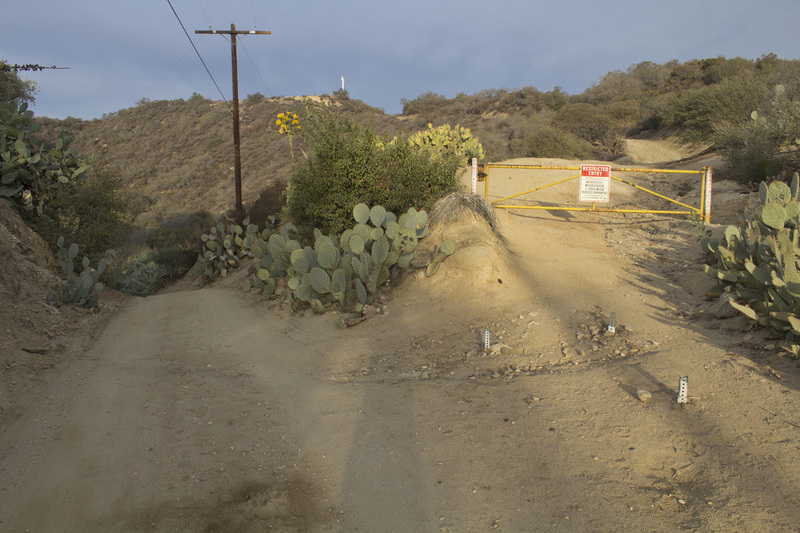 The summit is a large flat area with the cross standing at the edge of the cliff overlooking Tujunga, CA. Sunrise services are held each Easter Sunday as they have since 1925. Teen vandals toppled the cross in 1975, but it was restored by the City of Los Angeles, albeit with a slight bend. The cross is not in great shape with sections of the base showing major cracks. 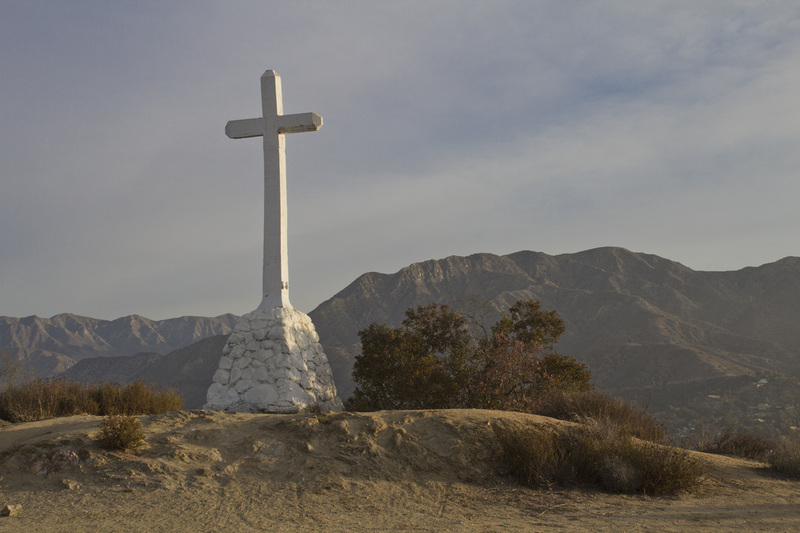 The cross may also be subject to constitutional questions as it does sit on city property, so if you want to see this bit of southern California history, take the short drive to Tujunga and see a different side of Los Angeles. 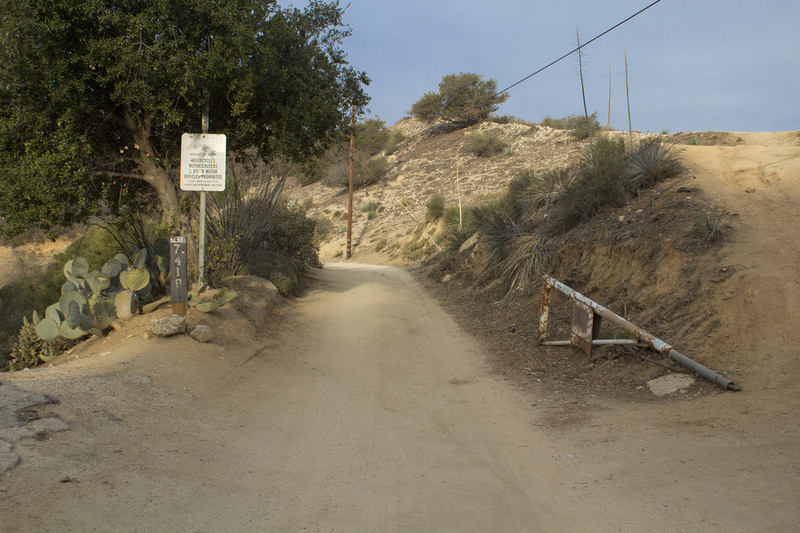 Parking is extremely limited at the trailhead, but you may also access the cross from the McGroarty Park in Tujunga, which has much more ample parking and doesn't require getting up quite so early. intersect with Verdugo Crestline Dr.
approximately .3 mile to the first Trail Junction. and continue uphill for .2 mile to the Cross.